Two wolves were killed last month in northeastern Washington; conservationists offer $10,000 reward while county official doubts poachers at fault. State wildlife officials and conservationists are looking into the shooting deaths of two wolves, including at least one with a radio collar, in northeastern Washington this past month, according to officials. Conservation Northwest said it is offering a $10,000 reward for information that proves the wolves were poached and leads to a conviction. 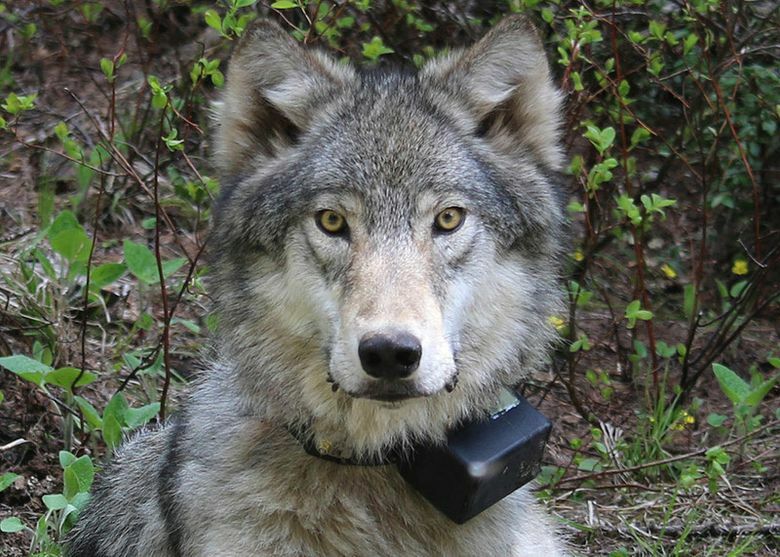 The Washington Department of Fish and Wildlife (WDFW) said one of the wolves was found in Stevens County after a radio collar stopped working in November. The carcass was found in the area where the collar was last working, according to Chase Gunnell, the communications director for Conservation Northwest. The conversation group has said the wolves were poached. WDFW is asking anyone with information about the incident to call wildlife police and 1-877-933-9847 or contact their enforcement hotline. Details of the second wolf death were not immediately available. “Because this is an area we worked in directly … it’s particularly egregious that someone would take this upon themselves to kill these wolves,” Gunnell said, referring to work the group has done to help ranchers and wolves coexist. The wolves, both female, were members of the Smackout and Dirty Shirt packs, Gunnell said. They were found in late November. At least one of the wolves was found in Stevens County. The deaths come a week after the state issued a report stating that wolf populations were not hurting the numbers of elk, deer and other game. “No matter how one feels about wolves or other wildlife, poaching is an unacceptable theft of our shared natural heritage,” Gunnell said. Stevens County Commissioner Don Dashiell, a rancher and member of the state’s Wolf Advisory Group, said Sunday that he had not seen any evidence yet that the wolves were killed illegally. Mike Carter: mcarter@seattletimes.com or 206-464-3706. The Associated Press contributed to this report.